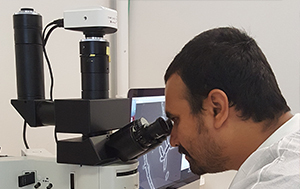 The Biotechnology and Planetary Protection Group manages four lab facilities at JPL that are available to group researchers, technologists, and engineers. The labs contain a wide range of research equipment, with uses ranging from Planetary Protection focused research to Planetary Protection Implementation on flight projects. Description: Two (neighboring) microbiology labs support a number of molecular biology Planetary Protection research efforts to advance Planetary Protection capabilities and technology. The lab is approximately 2,000 square feet and classified as a Biosafety level 2. As such, it can accommodate biohazardous materials, namely microbes, which induce mild human-associated illnesses. The laboratories contain general microbiology, molecular biology and biotechnology research equipment: bio-containment hoods, PCR machines, laboratory centrifuges, electrophoresis apparatus, HPLC protein purification equipment, liquid particle counter, spectrophotometer, ultra-low temperature freezers, incubators, and autoclave. Currently, scientists are conducting microbiome research to characterize the microorganisms that are associated with astronauts aboard the International Space Station (ISS). 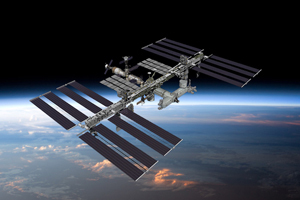 The bioinformatics capabilities of the lab will allow researchers to examine the pathogenicity of various bacterial strains found aboard the ISS and their potential harm to the crew. For more information about current research click here. Description: A 2,700 square foot lab including a 270 square foot walk-in freezer. The walk-in freezer, with its two chambers, allows for maintaining independent temperatures in the range of 40&degC to -300&degC. Equipment includes autoclave, centrifuges, freezers, laminar flow hood, chemical fume hood, incubators, cryogenic grinder, cryo storage system, Omnilog, lyophilizing systems, MALDI-TOF, sonicators, water baths, ice machine, colony counters, microscopes, electrophoresis units, balance, and dishwasher. 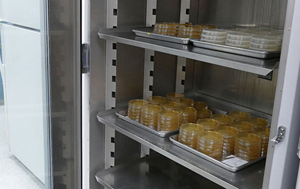 This lab houses the Biological and Organic Materials Archive: a collection of flight hardware related organic materials and NASA Standard Assay-processed microbial isolates. One of the important reasons for archiving these materials is to have knowledge about Earth contamination sources in preparation for returned sample science investigations and analyses. A “false-positive” indication of life via life-detection instruments on board the spacecraft, or in the sample after it is returned to Earth, could lead to unnecessary increased Planetary Protection requirements for future missions. For more information about the archive click here. Description: A 3,500 square foot space operated under stringent cleanliness regimes for low bio-burden detection methods and processes. Two separate areas function as ISO-7 and ISO-8 class cleanrooms. 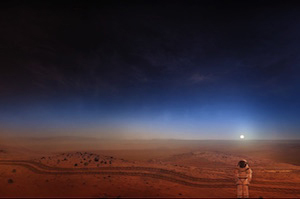 Thus, the rooms can also support flight mission projects such as the Mars 2020 Sample Caching System. 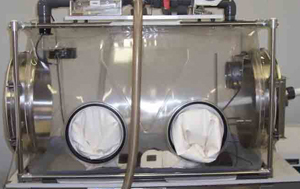 Moreover, the cleanrooms can be outfitted with a glove box to further protect hardware from contamination. 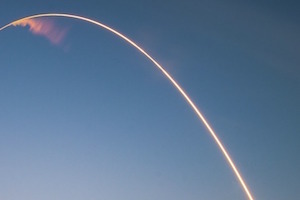 In addition to flight support, the labs provide space for various bioburden detection methodologies (e.g., LAL, Millipore/ATP, Pentagon), sterilization methodologies (e.g., ambient and vacuum Hydrogen Peroxide sterilizers), and development of cleaning strategies for different spacecraft materials. For more information about the technology development click here. Description:An 1,800 square foot lab designed primarily for flight support, houses general microbiology equipment such as mediaclaves, vacuum oven, biohoods, high temperature oil baths, nanopure water system, incubators, laminar flow hoods, colony counters and a custom barcode/data handling system. Planetary Protection Mission Implementation involves routine sampling of spacecraft hardware to verify cleanliness. 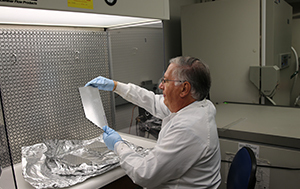 The samples are processed in this lab using the NASA Standard Assay. For more information about Mission Implementation click here.